This weekend has been a bit like the calm before the storm. It’s been very relaxing, but I know that the rest of the week is going to be intense, when we really jump into the young leaders’ forum and what I refer to as “the big whigs” or “adult” conference. I arrived yesterday and had dinner with several of the other young leaders here. They’re all pretty amazing, and from all over the world – India, Kenya, UK, USA, Australia, Burma, Jordan, Oman, Nepal, Turkey, Sierra Leone, Zimbabwe, Egypt and the list goes on. Then my lovely friend Sarah Shepherd (I promised she’d get a shout out!) 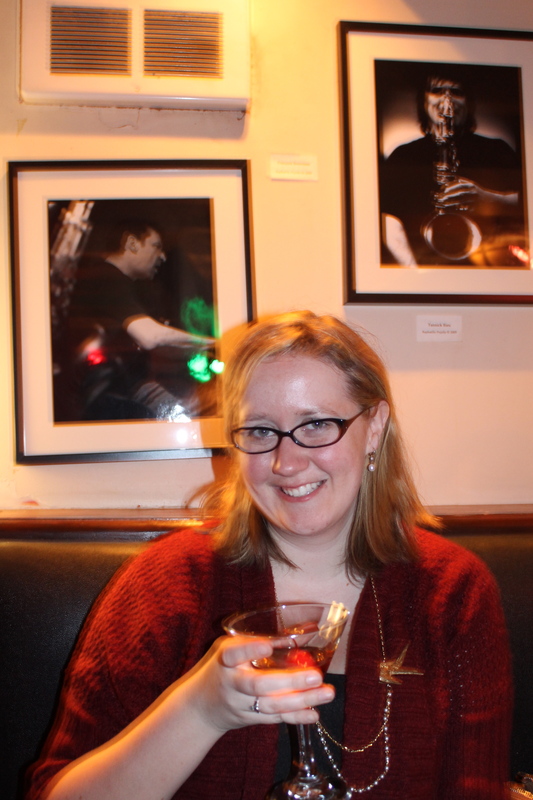 came over to meet us and we went to this lovely little jazz club off of Rue St Denis. This morning, the organizers took us for a quintessential Canadian experience – the (maple) sugar shack. I was excited – I haven’t been to a sugar shack since I was in high school! And it had a petting zoo!! Albeit it was fairly anti-climatic. But at least we did get a big “Bienvenue!” from Leon the Llama. 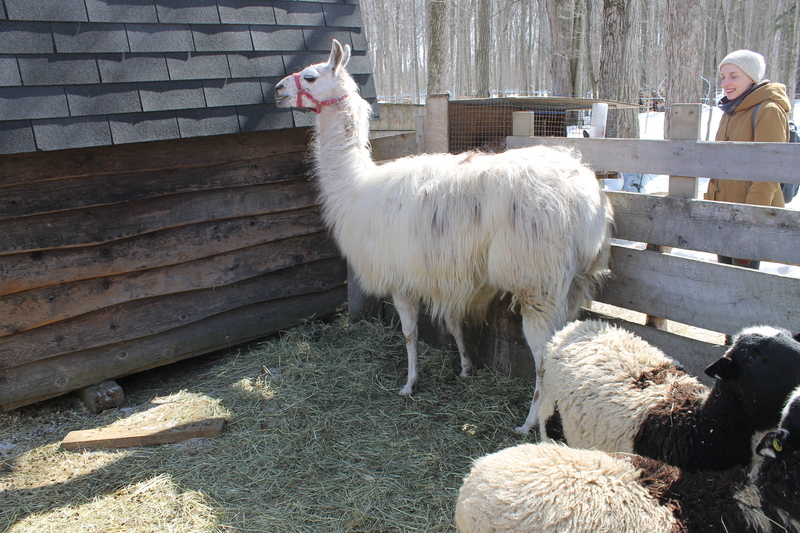 There was some explanation re how llamas are not indigenous to Canada. Anyway, we had a taste of Quebecois cuisine at the sugar shack, which ended up not being so accommodating for those who were vegetarian or couldn’t eat pork due to religious reasons. An interesting clash of cultures, I thought. A relaxing evening, but of course I had to have a beer for St. Paddy’s Day! I think they take away your Irish citizenship if you don’t. Happy St. Paddy’s Day to all! Posted on March 18, 2013, in Travel. Bookmark the permalink. Leave a comment.